It was 1942 and America was reeling from the shock of the attack on Pearl Harbor. 80 men volunteered for what all of them assumed was a suicide mission to prove to the world America would stand strong. 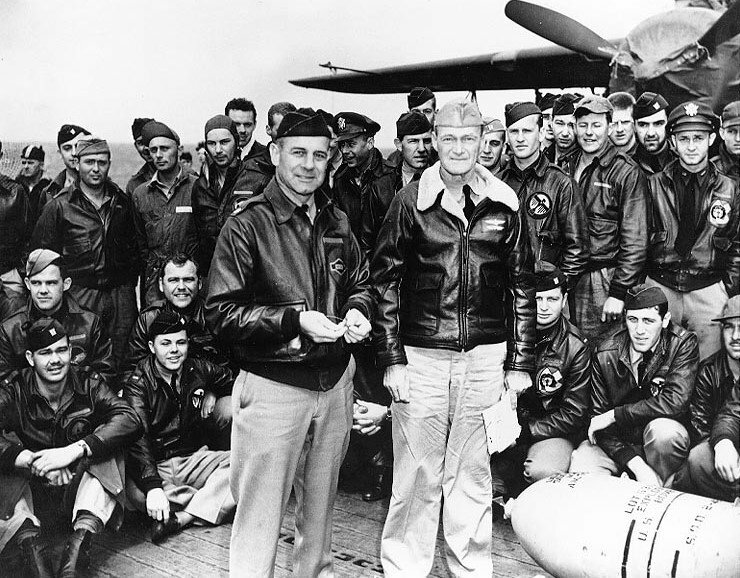 Dubbed The Doolittle Raiders (or the Doolittle Tokyo Raiders), these brave young men launched an attack on April 18, 1942, of B-25 bombers directly on Japan. On Saturday, November 9th, 2013, 3 of the 4 surviving Raiders gathered for the last time drawing a crowd of 5,000 to honor these great men. Read more about the weekend’s events here. 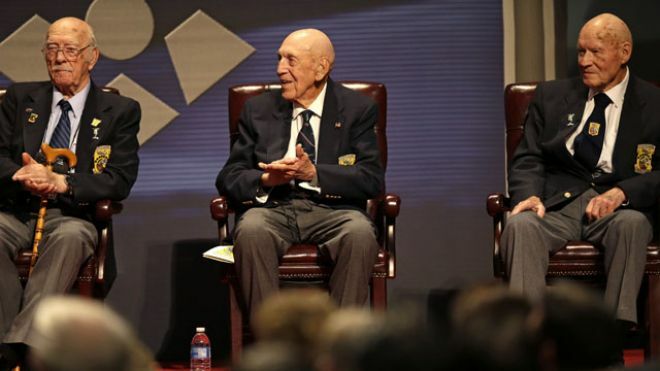 On Veteran’s Day, the awe-inspiring story of Doolittle’s Raiders does not surprise us. We have come to expect such selfless acts of bravery from the men and women of our military. What is surprising is that — There is currently a bill languishing in Congress to honor these great men. Per committee rules, legislation bestowing a Congressional Gold Medal upon a recipient must be co-sponsored by two-thirds of the membership of both the House of Representatives and the Senate before their respective committees will consider it. And yet currently, the House has 145 cosponsors and the Senate’s version of the bill has 41 cosponsors. We live in deeply partisan times. There seems to be very little to come together on. Honoring these brave and fearless men, while there are still a few surviving members to experience that honor, seems like an easy bill to support and expedite. Let’s hope that the current lack of support comes from Congress members simply being unaware of its existence. That is something that is easy to change. Please take a moment to contact your Congressman and Senator and ask them to support HR 1209 and Senate Bill S 381 to honor Doolittle’s Raiders. Contact your US Senator today. What a fitting way to honor our heroes on Veteran’s Day.